Celebrations have swept the South East Asian nation and further afield. How risky was the rescue? 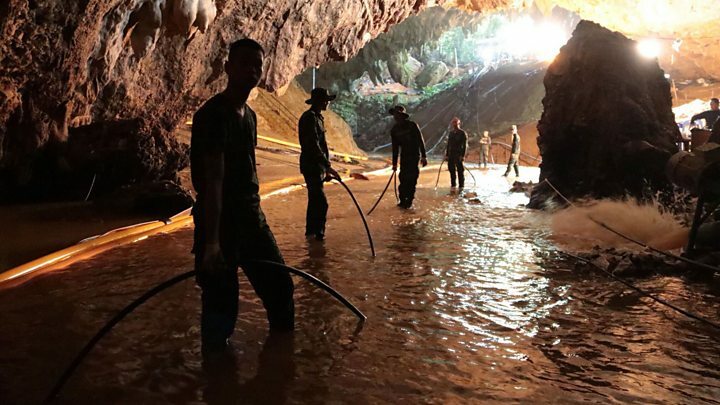 There were cheers around the Tham Luang cave system in the country's Chiang Rai province as a rescue operation involving dozens of divers and hundreds of other rescue workers came to an end on Tuesday evening. 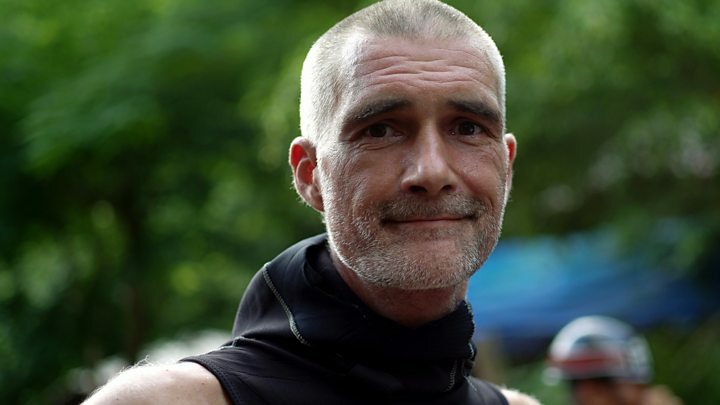 At the house just below the mountains where the men who run the Wild Boars football team meet, there was laughter, shouts and cheers - and people shook hands in a very un-Thai way, says BBC Jonathan Head. In the nearby city of Chiang Rai, the news was greeted by the honking of car horns while people gathered outside the hospital - where all those rescued from the caves were taken for treatment - broke into applause. Who are the Thai boys? 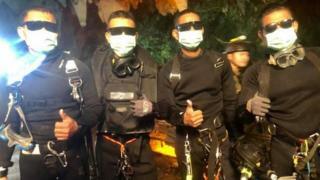 Media captionRescue diver in Thai cave: "I was very scared"
What next for the boys? The first eight boys to be rescued - on Sunday and Monday - are still in hospital but said to be in good mental and physical health, and have now been joined by the four boys and the 25-year-old coach who were rescued on Tuesday. X-rays and blood tests have been ordered, and they will remain under observation in hospital for at least seven days. Media captionChild psychiatrist: "It will be a challenge for these children to go back to normal life"
Their parents have been allowed to see them through a glass window at the hospital, but they are being quarantined. Drinking contaminated water in the cave or being exposed to bird or bat droppings could lead to dangerous infections, experts say. The boys lost weight during their time in the caves and are keen to eat. They are said to have requested a favourite pork dish, bread and chocolate, but solid food will have to be reintroduced slowly to prevent any digestive upset. They will also need to wear sunglasses for a few days until their eyes readjust to the brighter light. The last of the rescue team - three Thai Navy Seals and a doctor - emerged from the cave complex some hours after the last member of the trapped group was released. It was 17-year-old Peerapat Sompiangjai's birthday when the group became trapped in the cave. The snacks the boys brought with them to celebrate are likely to have helped them survive their ordeal.